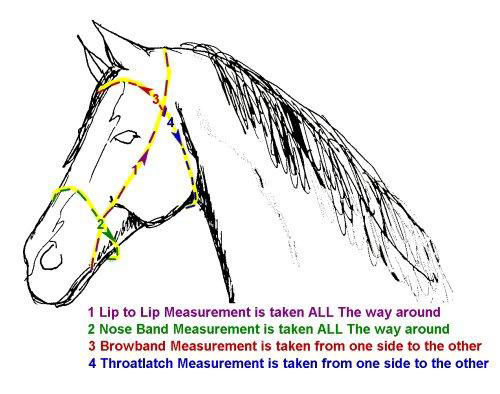 The diagram below shows how to measure for a headstall. You can use these measurements to make sure our standard headstalls fit or to order a custom headstall. 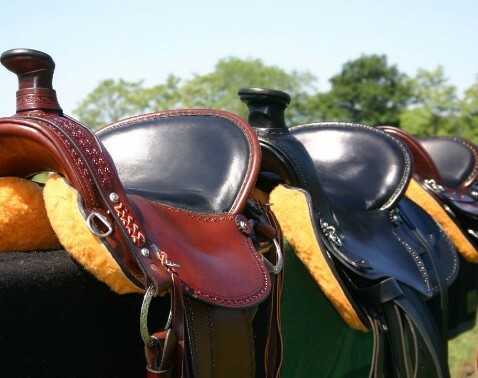 Custom headstalls are normally just $20.00 more than the cost of our standard headstalls of the same design. This charge accounts for the extra time it takes to make the headstall. Special requests beyond altering the size may incur additional charges. To order a custom headstall, please call 417-644-0091 with your measurements. We will give you a quote on the cost and estimated production time..